Over-delivering Saudi Arabia and blackouts in Venezuela helped push OPEC’s crude oil production down by 570,000 bpd from February to 30.23 million bpd in March—the lowest production from the cartel in more than four years, according to the monthly S&P Global Platts survey published on Friday. OPEC’s de facto leader and biggest producer, Saudi Arabia, saw its production drop in March to the lowest level since February 2017. 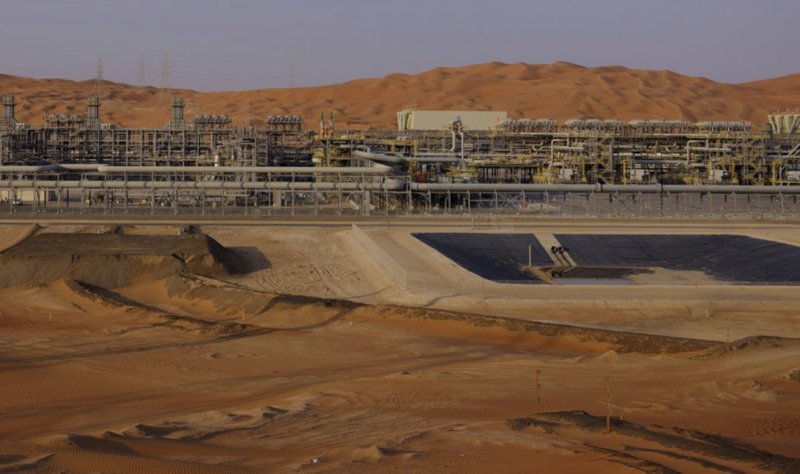 The Saudis delivered on their promise to cut more than pledged in the pact and slashed output by another 280,000 bpd last month, with March production at 9.87 million bpd, according to the S&P Global Platts survey. Venezuela, for its part, saw its production drop to a 16-year-low, at 740,000 bpd, due to the massive blackouts that crippled oil production and exports in March, the Platts survey found. OPEC’s second-biggest producer Iraq cut its production by 100,000 bpd from February to 4.57 million bpd in March, according to the survey. This, however, was still slightly above Iraq’s 4.512 million bpd production cap under the deal. After an initial plunge following the U.S. sanctions on its industry, Iran’s production has been holding relatively steady over the past couple of months, and the Islamic Republic pumped 2.69 million bpd in March, the Platts survey showed. The resumption of operations at Libya’s biggest oil field, Sharara, pushed Libya’s production up to 1.06 million bpd in March, according to the survey. Earlier this week, the monthly Reuters survey showed that OPEC’s oil production in March 2019 fell to its lowest level since February 2015, as Saudi Arabia cut more than it had pledged and Venezuela continued to struggle amid U.S. sanctions and a major blackout. OPEC’s oil production in March 2019 fell to its lowest level since February 2015, as Saudi Arabia cut more than it had pledged under the output cut deal and Venezuela continued to struggle amid U.S. sanctions and a major blackout, the monthly Reuters survey showed on Monday. The combined production of all 14 OPEC members stood at 30.4 million bpd last month, down by 280,000 bpd compared to February and the lowest level of OPEC production since February four years ago, according to the survey. Production in March beat the previous four-year-low record of the cartel’s oil production from February 2019. As per Reuters survey last month, OPEC’s oil production fell by 300,000 bpd in February compared to January to stand at 30.68 million bpd. The figures in the survey for March suggest that Saudi Arabia continues to over-deliver in its share of the cuts, as it has promised multiple times since the new OPEC+ deal began in January 2019. Under the OPEC/non-OPEC agreement for a total of 1.2 million bpd cuts between January and June, Saudi Arabia’s share is a cut of 322,000 bpd from the October level of 10.633 million, to reduce output to 10.311 million bpd. The rate of compliance from the eleven OPEC members bound by the pact—with Iran, Venezuela, and Libya exempted—also suggests that the Saudis and their Arab Gulf partners are deepening the cuts. The eleven OPEC members with quotas had a combined compliance of 135 percent in March, surging from 101 percent in February, according to the Reuters survey tracking supply to the market and based on shipping data and information provided by sources at oil companies, consulting firms, and OPEC. The survey did not provide figures for the Saudi production, but estimated that exempt Venezuela—under U.S. sanctions and suffering from a major power blackout in March—saw its oil production plummet by 150,000 bpd in March compared to February. 05:08 Why a dollar crisis is coming? 12:14 US dollar still the center of the world? 13:07 Gold is wanted as a global neutral reserve asset. 28:33 No credible reserve currency alternatives to the dollar? 31:29 Bancor: A suitable replacement for the dollar standard? 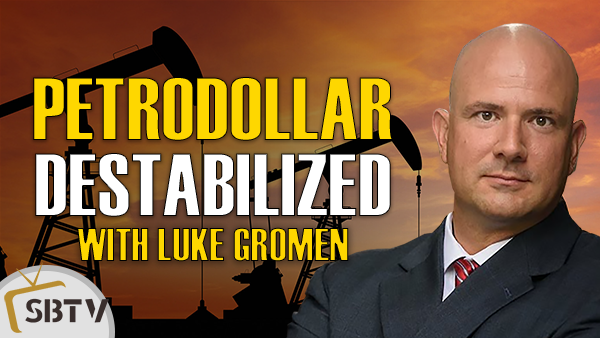 34:08 How should investors navigate the impending dollar crisis? Even as the US brought sanctions against Venezuela’s state-run oil company, oil prices have slumped over the past week, erasing some of a January rebound that saw crude prices rebound alongside equities. 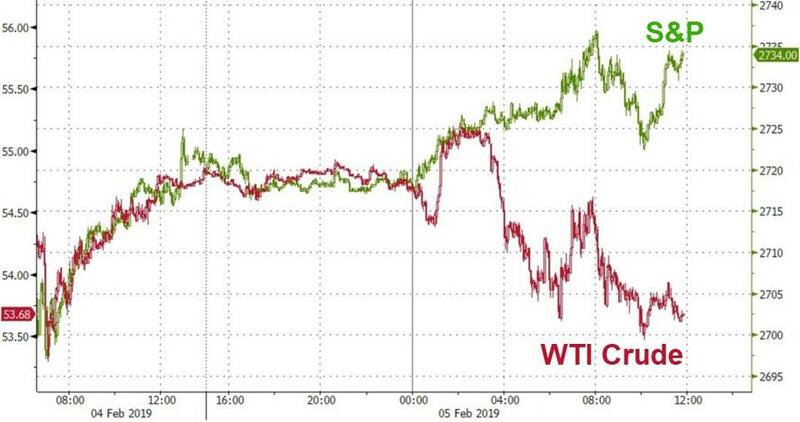 But oil bulls who worried that Saudi Arabia and Russia’s tandem production cuts wouldn’t be enough to finally wedge a floor under crude prices can relax: Because if a plan reported Tuesday by the Wall Street Journal pans out, OPEC might recover the price-setting power it is in fear of ceding to the US as the shale boom continues to…well…boom. With the US having cemented its new position as the biggest oil producer in the world thanks to shale, and President Trump exerting pressure on Saudi Arabia to drive oil prices lower, WSJ reports that Saudi Arabia and its Gulf allies in OPEC have proposed a formal alliance with a 10-nation group of petroleum producers led by Russia – and alliance that would “transform the cartel” (which has recently suffered speculation that it has lost its relevance after Qatar announced its plans to leave the bloc). However, Iran and some of its allies within the cartel have opposed the tighter partnership, fearing it could lead to Saudi Arabia and Russia dominating the organization. The proposal would formalize the loose union between members of the Organization of the Petroleum Exporting Countries and the group led by Moscow, which includes some former Soviet republics and other countries. The two groups have increasingly worked together in recent years, including in December when they agreed on a deal to curb production. The politics of oil are complicated, to say the least. There’s any number of important players, from OPEC to North American shale to sanctions. Relating to that last one, the US government has sought to impose serious restrictions upon the Iranian regime. Choking off a major piece of that country’s revenue, and source for dollars, has been a stated US goal. In May, the Trump administration formally withdrew from the Joint Comprehensive Plan of Action, known otherwise as President Obama’s “Iran deal.” It was widely expected that pulling out would lead to harsh sanctions against any country continuing to trade using Iranian crude oil. At the beginning of November, the US government formally re-instated those sanctions. In a surprising compromise, it did issue a number of waivers to countries like South Korea, Greece, Japan, and even China (among several others). That meant a good bit of Iran supply would remain available on global markets as a substitute source. Just in late September, some traders were predicting that global oil prices would hit $100 a barrel over the following months. Their forecasts were based on the prospect of a supply crunch due to U.S. sanctions on Iran that went into effect in November. However, America’s surprise decision to grant waivers from its restrictions to some nations sparked a collapse in crude. On the surface, the story does seem to check out; the US government did, in fact, keep Iran open for a little while longer. That additional future supply would have to have been factored into the ongoing oil price, further pressure to the downside. But did it “spark a collapse in crude?” Nope, a demonstrable fallacy. Total U.S. oil production around 2025 will almost equal the combined production of Russia and Saudi Arabia, Fatih Birol, the Executive Director of the International Energy Agency (IEA), told Turkish state-run Anadolu Agency on Friday. The huge growth in U.S. shale production will completely change the balance of oil markets, Birol told the news agency. The IEA’s Oil 2018 report from earlier this year sees the United States dominating the global oil supply growth over the next five years. OPEC capacity will grow only modestly by 2023, while most of the growth will come from non-OPEC countries, led by the United States, “which is becoming ever more dominant in the global oil market,” the IEA said. Driven by light tight oil, U.S. production is seen growing by 3.7 million bpd by 2023, more than half of the total global production capacity growth of 6.4 million bpd expected by then. Total liquids production in the United States—including conventional oil, shale, and natural gas liquids—will reach nearly 17 million bpd by 2023, “easily making it the top global producer, and nearly matching the level of its domestic products demand,” the IEA said in March this year. “The United States is set to put its stamp on global oil markets for the next five years,” Birol said back then. The U.S. is currently pumping oil at record levels of more than 11 million bpd, while Russia and Saudi Arabia—which also hit record highs in October and November, respectively—will curtail 230,000 bpd and 322,000 bpd of their production in the first six months of 2019, respectively. The OPEC+ cuts still are not doing very much to boost oil prices, dashing hopes for many U.S. shale producers. With companies in the process of formulating their budgets for 2019, the prospect of $50 oil sticking around raises questions about the heady production figures expected from the shale patch. WTI prices briefly popped above $52 before fading quickly after Bloomberg reported that after flooding the US market in recent months, Saudi Arabia plans to slash exports starting in January in an effort to dampen visible build-ups in crude inventories. Bloomberg reports that, according to people briefed on the plans of state oil company Saudi Aramco, American-based oil refiners have been told to expect much lower shipments from the kingdom in January than in recent months following the OPEC agreement to reduce production. And while the plan to slash Saudi exports to America may ultimately convince a skeptical oil market about the kingdom’s resolution to bring supply and demand incline, it may anger President Trump, who has used social media to ask the Saudis and OPEC to keep the taps open. Hopefully OPEC will be keeping oil flows as is, not restricted. The World does nott want to see, or need, higher oil prices! All the below OPEC data is from the latest OPEC Monthly Oil Market Report. The data is in thousand barrels per day and is through November 2018. OPEC 15 was down 11,000 barrels per day in November but that was after October production was revised upward by 67,000 bpd. OPEC production was 32,965,000 barrels per day in November. The revised October numbers, 32,976,000 was an all time high. Above are the major revisions. All other revisions were in the low single digits. The decision by Qatar to abandon OPEC threatens to redefine the global energy market, especially in light of Saudi Arabia’s growing difficulties and the growing influence of the Russian Federation in the OPEC+ mechanism. In a surprising statement, Qatari energy minister Saad al-Kaabi warned OPEC on Monday December 3 that his country had sent all the necessary documentation to start the country’s withdrawal from the oil organization in January 2019. Al-Kaabi stressed that the decision had nothing to do with recent conflicts with Riyadh but was rather a strategic choice by Doha to focus on the production of LNG, which Qatar, together with the Russian Federation, is one of the largest global exporters of. Despite an annual oil extraction rate of only 1.8% of the total of OPEC countries (about 600,000 barrels a day), Qatar is one of the founding members of the organization and has always had a strong political influence on the governance of the organization. In a global context where international relations are entering a multipolar phase, things like cooperation and development become fundamental; so it should not surprise that Doha has decide to abandon OPEC. OPEC is one of the few unipolar organizations that no longer has a meaningful purpose in 2018, given the new realities governing international relations and the importance of the Russian Federation in the oil market. Besides that, Saudi Arabia requires the organization to maintain a high level of oil production due to pressure coming from Washington to achieve a very low cost per barrel of oil. The US energy strategy targets Iranian and Russian revenue from oil exports, but it also aims to give the US a speedy economic boost. Trump often talks about the price of oil falling as his personal victory. So, after a few days of wrangling, a 1.2 million barrel per day cut was announced by OPEC, far larger than the market was expecting.